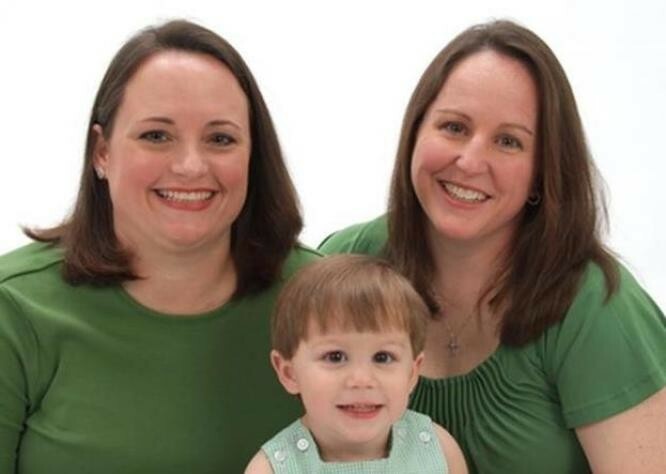 It looks like the homophobic military spouses club at Fort Bragg was shamed into offering Ashly a full, permanent membership, after she was named "Military Spouse of the Year" by Military Spouse magazine. Congratulations to Ashley for standing up for her rights! FORT BRAGG, N.C. -- A woman married to a female Army officer at Fort Bragg and who was recently denied membership in its officers' spouses club said that she has been invited to become a full member. Ashley Broadway said late Friday that she received the invitation from the club's board in an email. The invitation came on the same day that Broadway also learned she'd been named Fort Bragg's 2013 "Military Spouse of the Year" by Military Spouse magazine. She is married to Lt. Col. Heather Mack, who gave birth this week to a baby girl, the couple's second child. "I'm pleased, I'm happy," Broadway said Friday. "As soon as things calm down with the baby, I want to get involved. I hate that it took so long for them to come to this conclusion . . . I think if anything it's brought up a larger issue: We have two classes of service members and how they're . . . not treated equally."